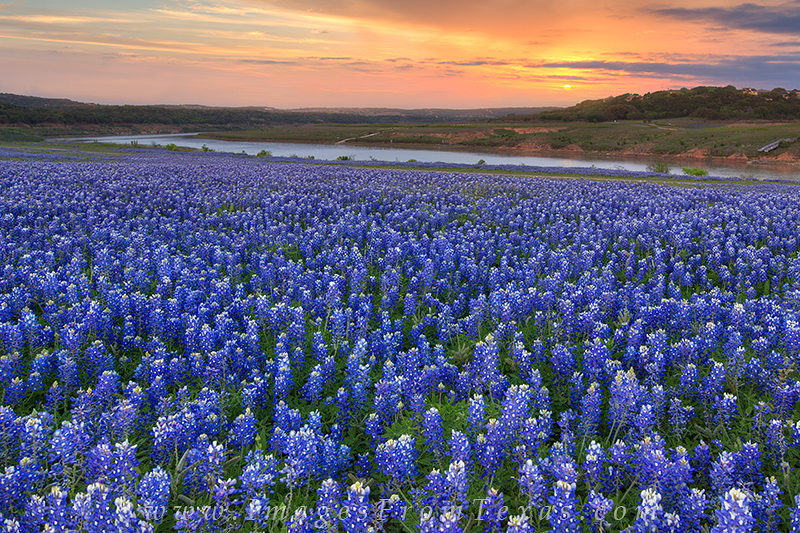 At a little place along the river called Turkey Bend, bluebonnets great in great numbers in the spring of 2013. Unfortunately, this was one of the rare places wildflowers did grow that spring. But on this morning as the sun peeked through the clouds, it seemed a perfect way to start a day in the Hill Country of Texas. Photo © copyright by Rob Greebon.